ROCK HILL, NY (May 12, 2014) – On Friday April 11, the George L. Cooke Elementary students from Ms. Olsen’s fourth grade class went out into the community to deliver pet supplies to The Rock Hill SPCA. Also invited along were a selection of Student Council members and two very knowledgeable first graders who have a passion for rescuing animals. The donations were the result of the generosity shown by the Cooke Community during a project called “Share the Love.” This outreach was sponsored by The Cooke School Spirit Committee as a fun day with a purpose. The students were invited to bring in their favorite stuffed animal for the day and also a can of pet food or a toy or an office supply for the Humane Society. The children brought in a huge dog bed and several 50 pound bags of dog food, numerous collars, leashes, dog bowls for food and water, tennis balls, and catnip treats. On the way home the students were treated by the Cooke School Store/ Spirit Committee proceeds to a Frosty treat at the local Wendy’s Restaurant. The treat was actually a $33.00 donation to the Dave Thomas Adoption Foundation adding to the good deeds accomplished in one day. 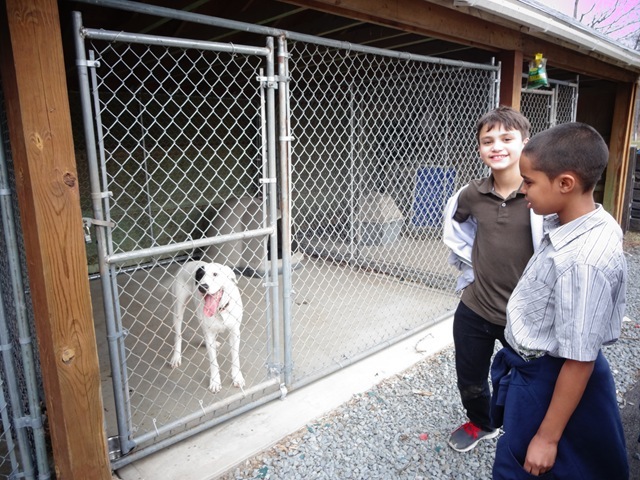 In top photo: Elyssa Olsen’s fourth grade student’s Isaiah River and Pharaoh Bolden looking at the dogs in the Rock Hill SPCA kennels. 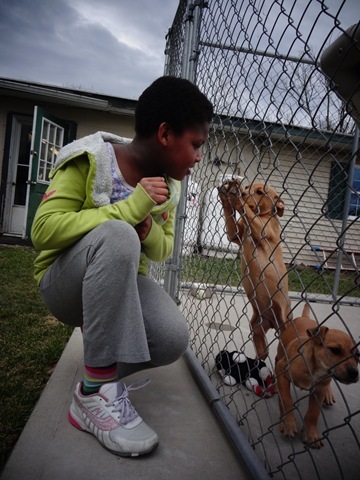 In bottom photo: Medora White from Elyssa Olsen’s fourth grade class, talks to one of the puppies.